One of my favorite parts of starting each new year, is having the opportunity to start fresh. I love being able to sit back and reflect on everything that happened the year before and to set goals for the year to come. Last year my husband and I were determined to improve our overall health by eating better and exercising more. We both were able to make great progress, but there is always room for even more improvement. This year, we really want to make an effort to live a more fresh and new life – one aspect of this is to be more relaxed and to look for the positive in our lives. One thing that really helps me to relax and to focus is when the house smells great. 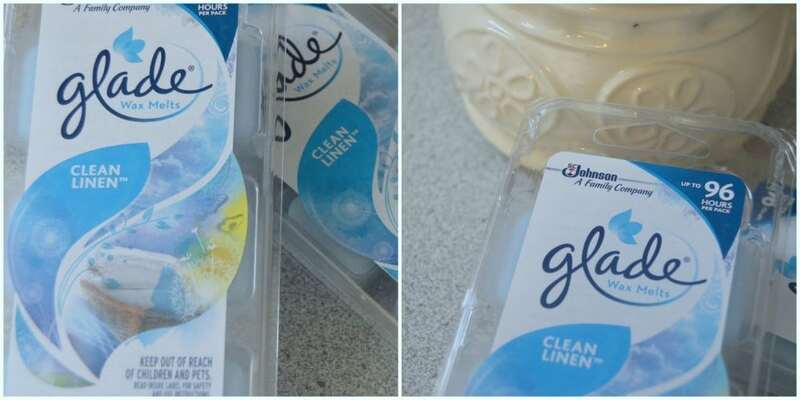 I have posted in the past about Glade® Wax Melts and how they are perfect for spreading a great scent throughout the house. During the holidays we always used these products to keep the house smelling great when we had family and friends over. Now that it is a new year, and we are focusing on a fresh start, I have been using a new scent – these Glade® Clean Linen® scented Wax Melts are perfect! They fill the home with freshness and helps me remember my goals. Each cube provides up to 16 hours of fragrance, so it is great to put on in the morning to have a fresh smelling home all day. Click here for a coupon and make sure to follow Glade® on Twitter for the latest products updates and more. Another focus that we have is to eat food with more fresh ingredients. We started doing this last year, but sometimes it was really hard. The key for us was to remember that you don’t have to come up with completely new recipes. Instead, you can replace ingredients in those recipes with fresher ingredients. Today I want to share a simple example of taking a traditionally not-so-healthy recipe and giving it a fresh twist. 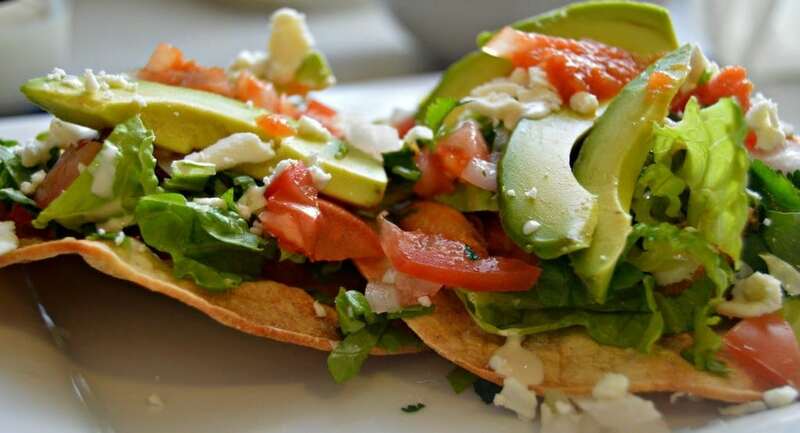 One of our favorite foods to have for dinner are tostadas. I grew up eating this in Mexico, so naturally I continued making them with my own family. I will always remember the time we were in Mexico and my husband ate about 6 or 7 of them! My mama didn’t listen to me when I told her not to give him any more – she said something to the effect of “let the man eat!” While we eat these a couple of times per month, we definitely realize that they aren’t the healthiest food around. 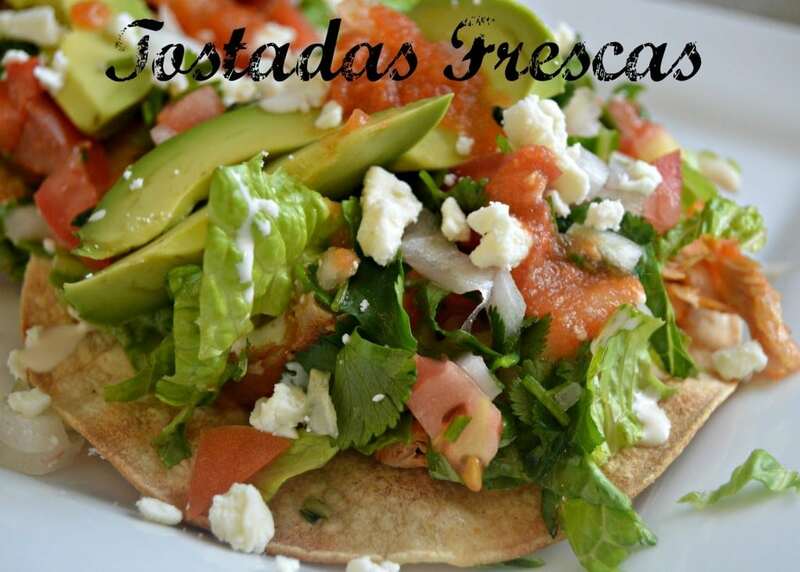 Traditionally they are made on fried tortillas, with media crema, mozzarella or panela queso, refried beans, and more. 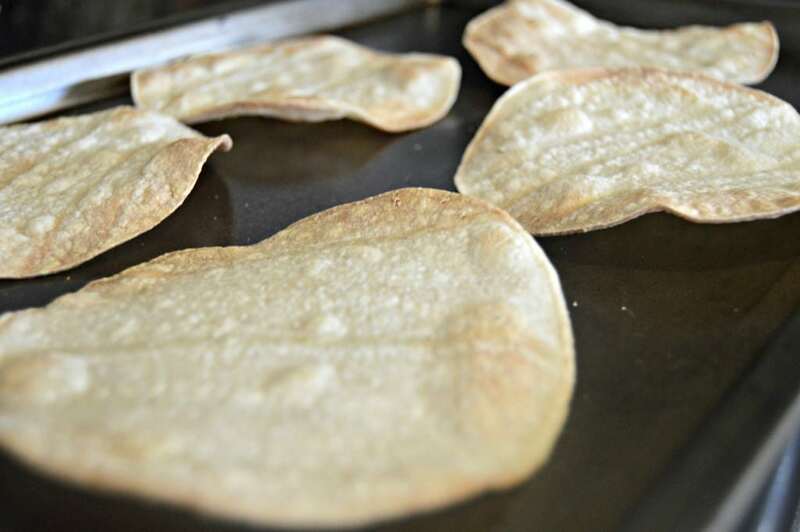 Baking the tortillas is great because it removes a lot of the fat and grease from the finished tostada. They taste just as good, but are much better for you. Just bake them at 400 degrees for about 8 minutes, flipping once halfway through. 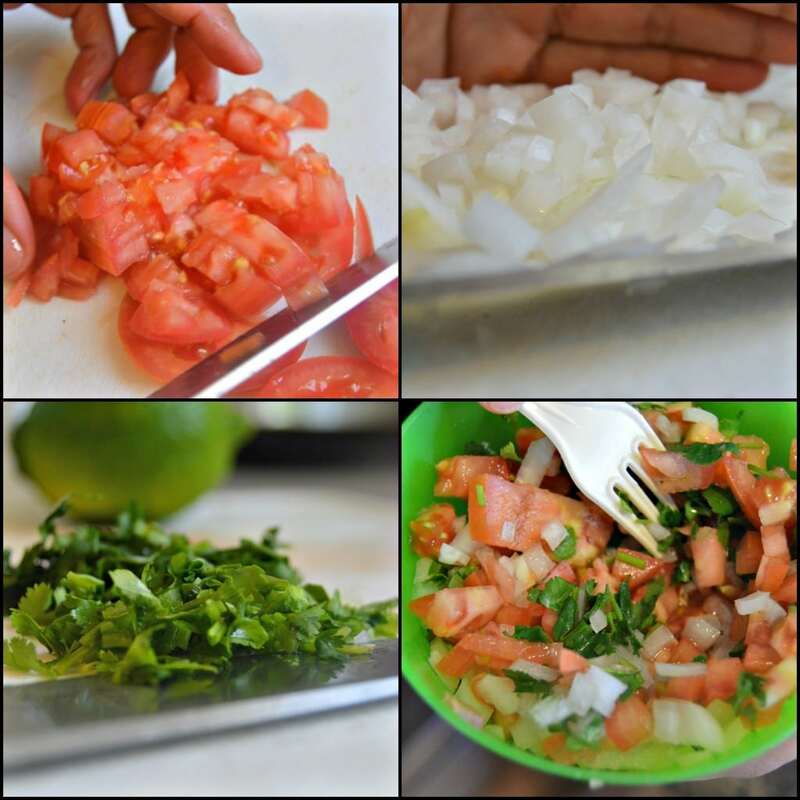 For the pico de gallo, simply combine finely chopped tomatoes, onions, and cilantro with a pinch of salt and lime. Using yogurt instead of the media crema is just another option for making this taste even more fresh. They key to this recipe is to use as many fresh ingredients as possible – that means that you should avoid pre-packaged, processed foods. For example, if you do decide to use beans, you should make homemade beans instead of canned. 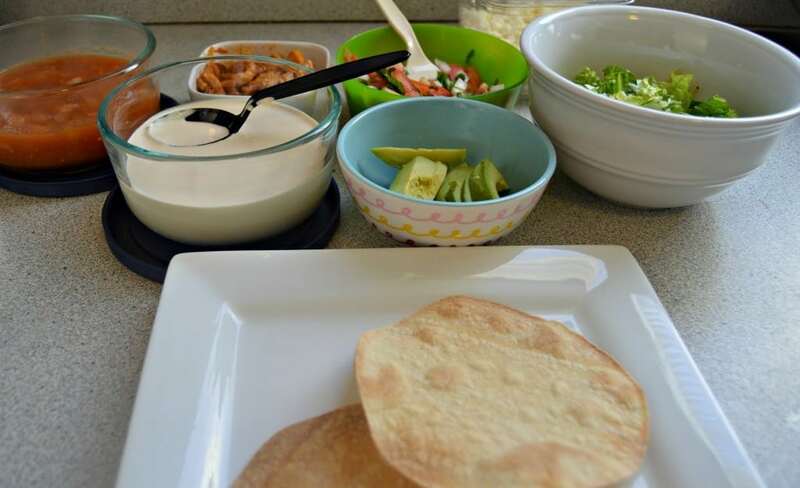 Of course the final tostada is simple to make – start with the baked tortillas, add the shredded turkey, and then layer on the rest of the fresh ingredients before enjoying! This great recipe is simple, easy and uses fresh ingredients to help kickoff the New Year right. Between these tostadas and the wonderful scent of Glade® Clean Linen® scented Wax Melts I know I will feel invigorated in 2016. Are you trying to live a more fresh and new life this year with the help of Glade®? Let me know what you are trying in the comments.